“Hi, Larry,” I said, walking up to them. He looked up and smiled. I continued down the hall into a large room lined with desks. Agents trickled in for the weekly office meeting. Some worked at their desks, while others pulled up chairs, chatting, laughing, helping themselves to fresh glazed donuts. 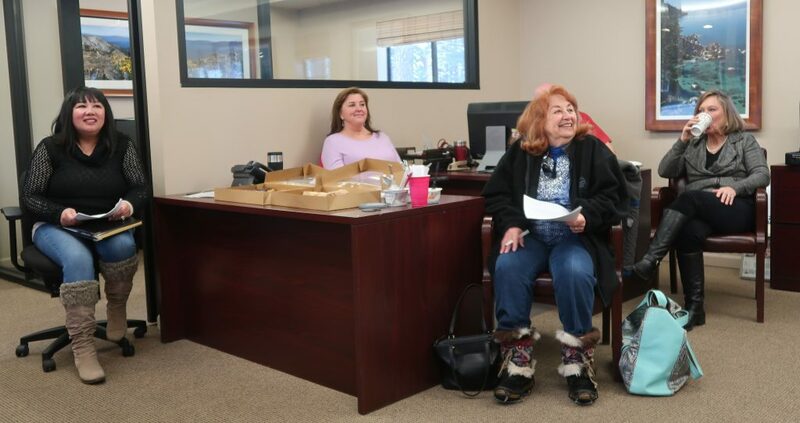 Larry walked in with a pile of handouts and warm hellos for each and every agent there. Larry has been leading the South Lake Tahoe office since 2007, growing it into the number one office in closed transactions and closed sales volume per MLS data since 2009. 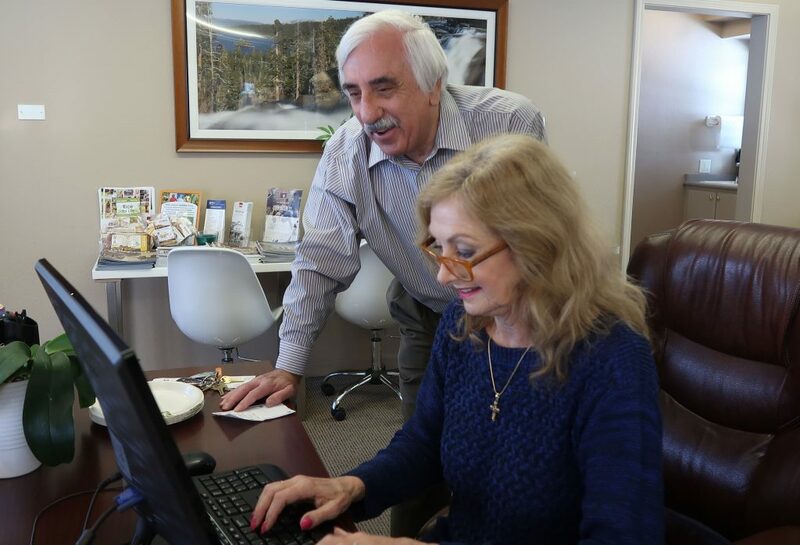 During his 42 years in real estate, he has served twice as President of the South Lake Tahoe Board of Realtors, was named Realtor of the Year three times, and has received the Distinguished Service Award from the association several times, not to mention awards for his production in real estate. Despite his many successes, Larry has an almost teddy bear quality about him—warm and friendly, totally huggable. But he also radiates inner strength. Clearly a man of principle, he’s the kind of guy who makes sure the details are correct and that the job is done right. Larry came to California in 1967 from Lynn, Massachusetts, to attend college. After graduating from the University of Southern California, he spent several years working in downtown Los Angeles as a financial analyst in the apparel industry. One weekend in 1976, he and his wife took a little trip up to Tahoe. They fell in love with the area and moved to South Lake Tahoe that very same year. Larry found work as a financial analyst at one of the casinos. But real estate was doing well, and having already obtained a real estate license in 1973, he decided to give it a go. Soon he was making more money part-time in real estate than he was full-time at the casino. So he quit his job and dove full-time into the profession. Standing in front of a room full of agents, Larry called the meeting to order. He introduced two new agents, then announced the winner of the “We Rise by Lifting Others” award. This honor is passed from one agent to another who has been particularly helpful to their fellow agent that month. For the first five years of his career, Larry worked at a small brokerage. Then he joined a colleague at a large franchise office, where he ended up helping a lot of agents on the side. Larry said yes to this new opportunity and went to work as the brokerage sales manager. Together, he and his colleague built the company up into a very successful office. Chase purchased the office in 2007. After a successful, one-year transition period, the other broker decided to go back into sales, so Larry became the managing broker. He’s been running the South Lake Tahoe office for Chase International ever since. So how does one stay on top for so long? Larry’s answer is simple. He says his number one job is to retain agents, and he succeeds by creating a family atmosphere of trust and support, where everybody gets along. 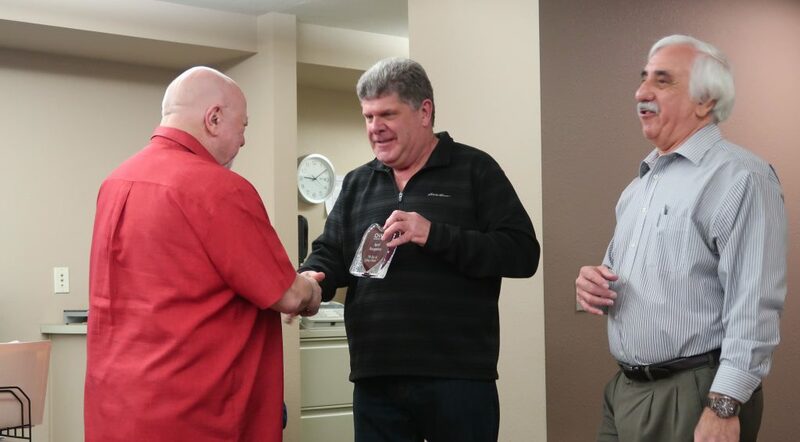 After 40+ years in the business, Larry knows how to serve his agents as their broker. He sees the top three requirements as availability, support and training. Larry’s seen just about everything in this business, so when challenges arise, he can usually figure out a solution. Larry is selective about who he hires, bringing on only 5-7 agents per year. When it comes to deciding who might be a good fit, he examines the whole picture. Of paramount importance, any new addition needs to be trustworthy and have a positive outlook. Larry also evaluates agent attitudes about money to gauge cultural fit. Larry is always on the lookout for agents whose primary concern is the client. Larry enjoys mentoring his agents. 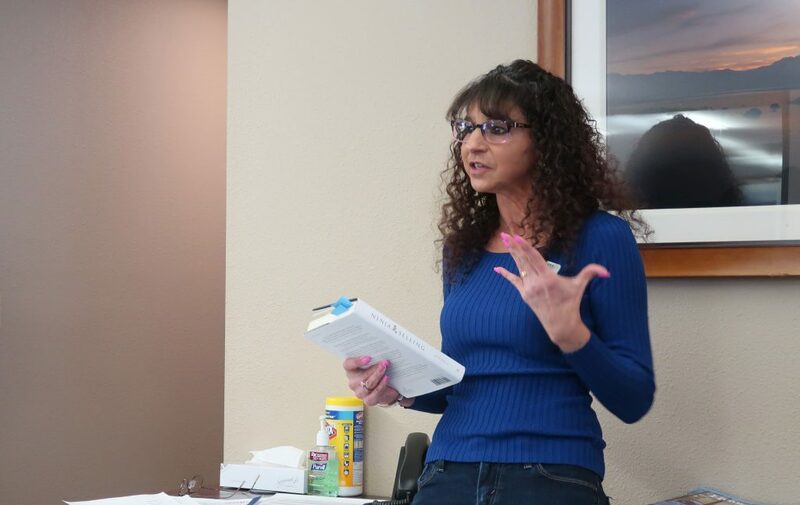 He likes getting them right out of real estate school and teaching them all aspects of the business, with role-play a central part of his methodology. Larry wants his agents to be excited about writing offers and have the confidence to know how to properly structure them. He also stresses that it’s important for agents to know their product. So he encourages them to go on multiple listing tours, attend office meetings, stay in the office, and soak up everything they hear. With new agents, he’ll go into properties with them, walk them through, and tell them what to look for. He’ll also suggest the most cost-effective ways to improve each property to get the best price, so that they can advise the client. 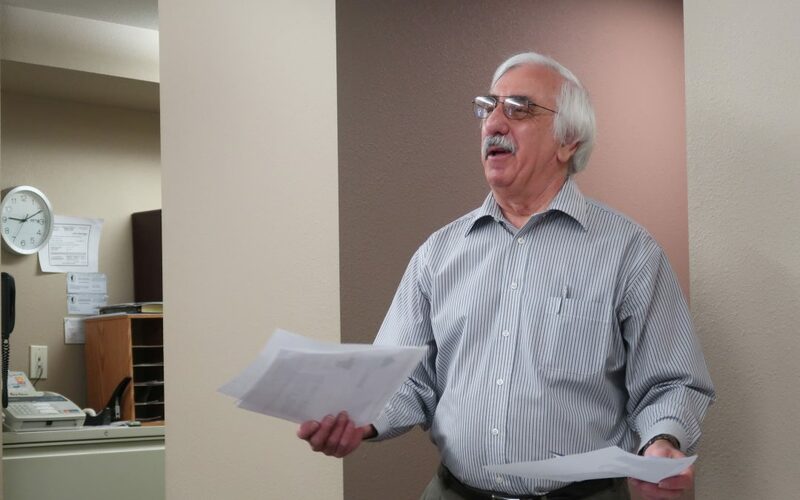 Larry continued the office meeting by summarizing the latest market statistics, sharing news from the board of Realtors, and leading a discussion about the effects of the recently passed Measure T. He also reminded about the upcoming contracts class at the office. A contracts expert, Larry teaches all the California contracts classes for Chase. He meticulously keeps abreast of changes, critical for keeping agents and clients out of trouble. Knowing how to create proper verbiage is critical for clarity, so that terms aren’t open to question. So when agents ask Larry how to best word a clause, he’s very good at coming up with crystal clear phrasing. Larry is also proud of the fact that other professionals in the community like to work with his agents because they’re properly trained. What really stands out about Larry is his personal touch. He’s present, he cares, he wants to help. But he won’t coddle—he’ll dole out the tough love too, when needed. Larry tells his agents that they can’t just sit at their desks, waiting for someone to walk in or for the phone to ring. If they do, it’s going to be a long, cold winter. In Larry’s office, the training never stops. More than a mentor, he’s like a personal coach, developing his players into the very best they can be. Once Larry’s old office transitioned to the Chase brand, he definitely noticed a difference in perception in the marketplace. Larry has been pleased with the support he receives from Chase International over the years, especially when it comes to marketing and technology. When Larry’s agents go on listing presentations, they’re backed by the tools, technology and training that Chase offers, not to mention decades of success in the region. It’s a powerful punch, all designed to deliver exceptional service to clients. Agents in Larry’s area don’t change brokerages very often. When they do, it’s usually because something happened where they’re at. They might not be getting the attention or the support they need. Maybe they’re not getting the training, or maybe they got into it with somebody at the other office. 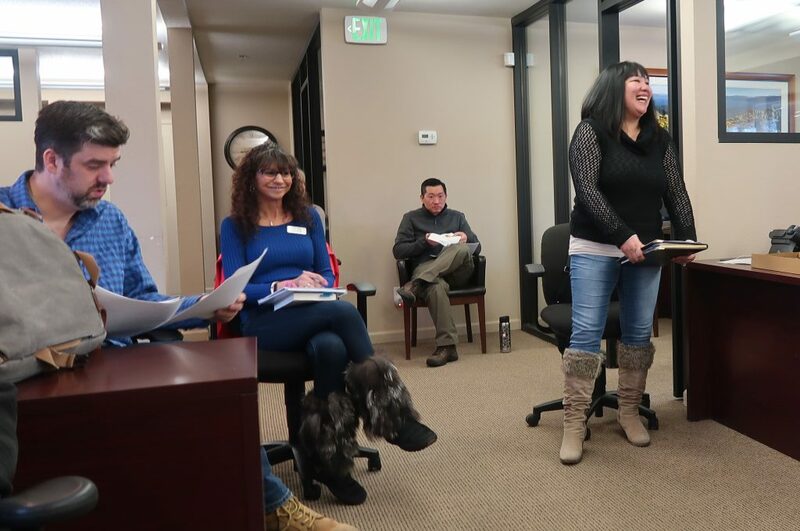 Having offices all around the lake and in the valleys, too, is definitely an advantage. Larry often reminds agents that they’re welcome in any Chase office. “Wherever you go you have a conference room to use,” said Larry. “You have a place to meet a client. So that’s a bonus if they’re licensed in both California and Nevada. They can go to Zephyr Cove, Tahoe City, Incline, Reno, Carson Valley—we cover the entire region. Winding down the meeting, Larry talked about the upcoming Ninja sales training, community projects that the office is involved with, and that month’s agent action plan produced by Chase’s in-house marketing department. He also discussed potential pitfalls and necessary disclosures related to pocket listings and coming soon property promotions. It’s a company with heart, and Larry sees this in the story of how Chase got through the difficult times during the downturn, when a lot of brokers went under. The company supports agents in providing extraordinary service to clients. Yes, it’s a business that makes money, but it constantly reinvests for the benefit of the agents, the employees, its local communities and even the world through its global initiative. These farmers grow 2000 year-old pure, whole grain rice, without the use of chemicals or harmful fertilizers. The foundation empowers farmers, their families, children and villages to live healthy lives using the wisdom of their ancestors. Larry says that sometimes he’s a psychologist as much as a real estate broker. But he’ll take a genuine interest, listen, and give hugs if agents need them. They seem to appreciate that. Larry is looking for a few good agents to join his team. If you want to uplevel your business while living a life you love, please reach out.